The novel, The Shadow of Nemesis, does not claim to be a work of history, nevertheless, it relies heavily on the work of historians – American, Spanish, and Cuban – in order to reconstitute as precisely as possible the context of the era. Several books published after the conflict were re-released in the United States and in Spain, most notably on the occasion of the war’s centennial. Most of them are available only in libraries or through auctions on the Internet. Cuban works were acquired through private dealers in Havana or in market stalls in Santiago. Since the victors write the history books, it is not surprising that Americans are largely represented. The same remarks hold true for published accounts of direct or indirect witnesses of the events, whether they be soldiers, journalists, Red Cross workers, or politicians. The backdrop of the novel is the war that opposed the United States and Spain during a period of six months, from February to July 1898. Another war between the colonial power and the Cuban rebellion, which lasted three years, had preceded it. On both sides of the Atlantic, the public currently knows little about the Spanish-Cuban-American conflict, despite the fact that it provided numerous “firsts” which marked the twentieth century. Nineteen years before American intervention in the First World War and a half-century before landing in Normandy, American military forces fought on foreign soil. A new power was emerging on the international scene. At the same time, colonial Spain was watching as its last possessions – Cuba, Puerto Rico, and the Philippines – were being ripped away. For starkly different reasons, History will retain the name of the two principal landing sites on the Cuban coast: Daiquiri, which would become a cocktail, and Guantanamo, which continues to generate talk in the 21st century, and not just for the beauty of its most famous daughter, the Guantanamera of song. During this period, the press experienced an expansion of which its experience during the Civil War had only scratched the surface. Journalists covered the events by accompanying soldiers aboard ships and on the battlefield, and they were not always able to avoid criticism. The role of the “yellow” press in the xenophobic unfurling which preceded and gave rise to the conflict cannot be underestimated. Orson Welles illustrated these excesses through the character, Citizen Kane, inspired by William Randolph Hearst, owner and head of the New York Journal. Another tragic reality continues to be associated with this conflict, namely, the creation, for the first time, of large-scale concentration camps. According to historians, between one hundred thousand and two hundred thousand Cubans disappeared in the camps. 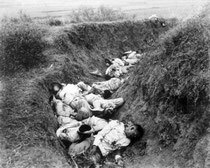 The use made in the following decades of this form of violence against civilians, inaugurated in Cuba, is well known. Around the Carsawene River, the Counani Republic [link] was effectively created in 1886 by a group of adventurers among whom was Jules Gros, who became the Counani President. 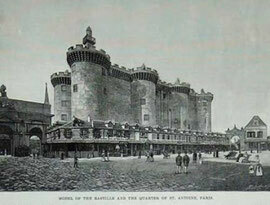 The reconstruction of the Bastille for the 1889 World’s Fair in Paris was somewhat eclipsed by the construction of the Eiffel Tower the same year. The construction is treated in a monograph by Gombault and Singier, L’Exposition de 1889 et la tour Eiffel, d’après les documents officiels, par un ingénieur (1889). The novel, The Shadow of Nemesis, owes much to Juan Padron, creator of Elpidio Valdes. Colonel Valdés is as popular in Cuba as Asterix is in France. 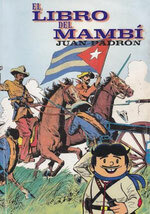 As a recurring character in cartoons, comic books, and stories, he symbolizes the people of the “indomitable Cubans, ever and again resistant to the Spanish invader.” His country calls upon him for educating minds in history and in civics. Juan Padron’s precise drawings in El Libro del Mambí (1985) were of invaluable assistance to me in understanding the daily life of Mambis and the way they fight back. The process of careening was the subject of a Master of Arts thesis by Michael P. Goelet: The Careening and Bottom Maintenance of Wooden Sailing Vessels (A & M University, Texas, 1986). In 1839, the French frigate Artemise hit a coral reef in Tahiti. 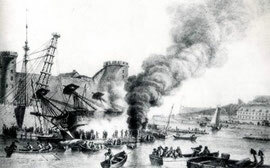 To carry out the repairs, the ship was beached and careened close to the port of Papeete. The frigate’s cruise and its careening on a beach are recounted by Louis Reybaud in L’Artémise à Taïti. Journal inédit d’un officier de l’expédition, published in 1840 by La Revue des Deux-Mondes. In 1976, the journal Neptunia published an article by Jean Boudriot containing illustrations and a technical description of the operation (La Frégate l’Artémise et son abattage à Tahiti en 1839). It also showed pictures from the Paris Maritime Museum’s mock-up, showing the Artemise while beached. In the same issue of Neptunia, Eric Rieth refers to the Vittore Carpaccio painting, The Legend de Saint Ursula (1495), which presents a naval workyard scene. An in-depth analysis of this work reveals that the operations used in the 15th century for beaching and careening are similar to those used in the following centuries (Note sur deux abattages en carène figurés par Vittore Carpaccio). I have adapted these descriptions to the operation led by Louis Aurélien on the Nemesis.